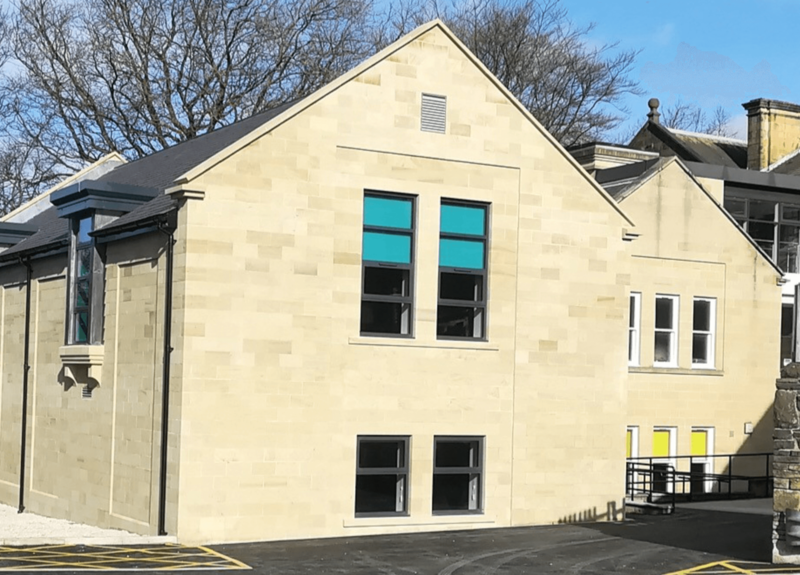 The new glossop library on talbot st forms an addition to the existing adult education centre. 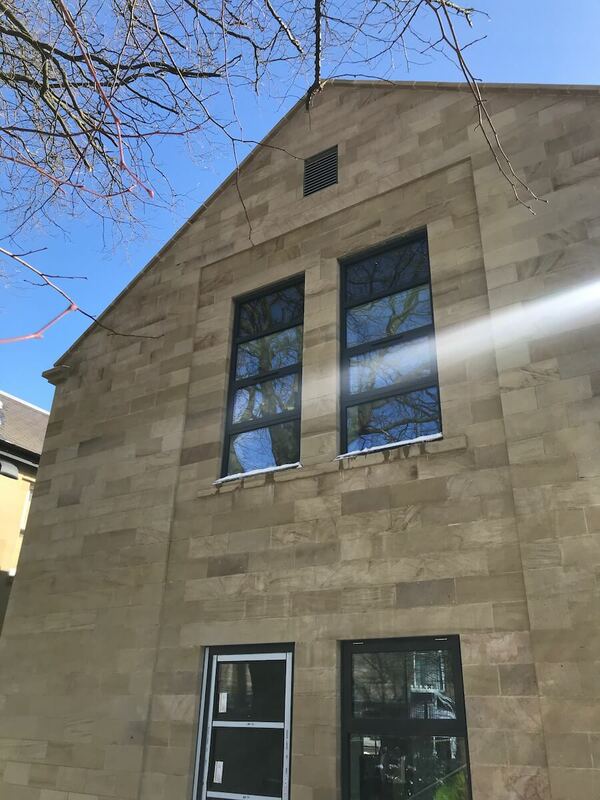 Lyons were appointed as masonry subcontractor in spring 2017 starting on site late summer. 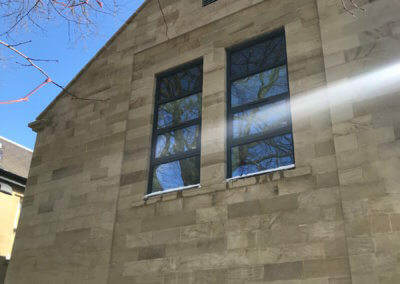 all of the natural stone was cut and masoned in house at lyons’ workshop. the works were then carried out on site by lyons in house masons and bricklayers. 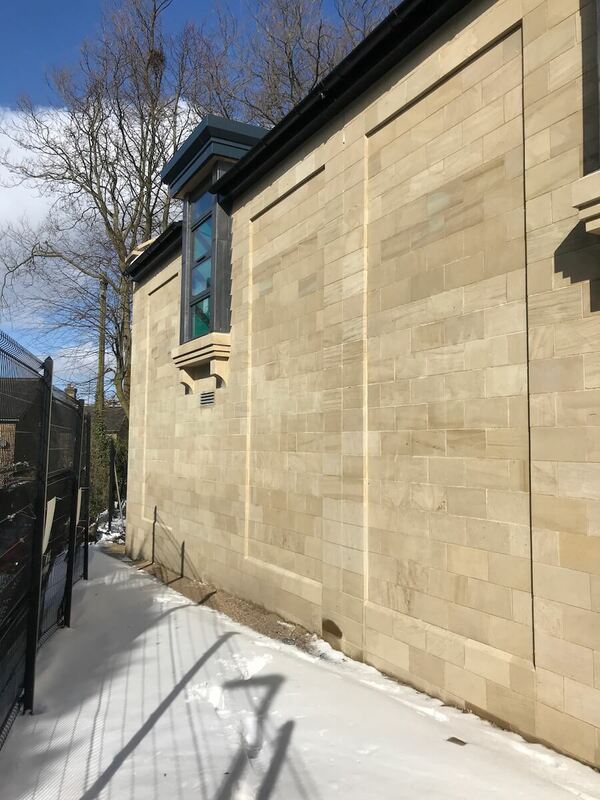 The new library features and external leaf in natural sandstone restrained to a blockwork inner leaf of masonry panels within steel frame construction. 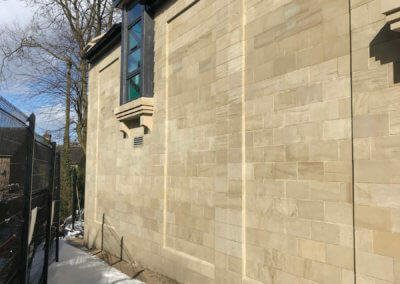 Colour matched mortar was used to point the ashlar facade. Full supply and fix masonry package – stonework and blockwork. Manufacture in-house of all stonework. All fixing of outer leaf facade. Supply of fixing systems and masonry supports. All blockwork, insulation and firestop barriers.